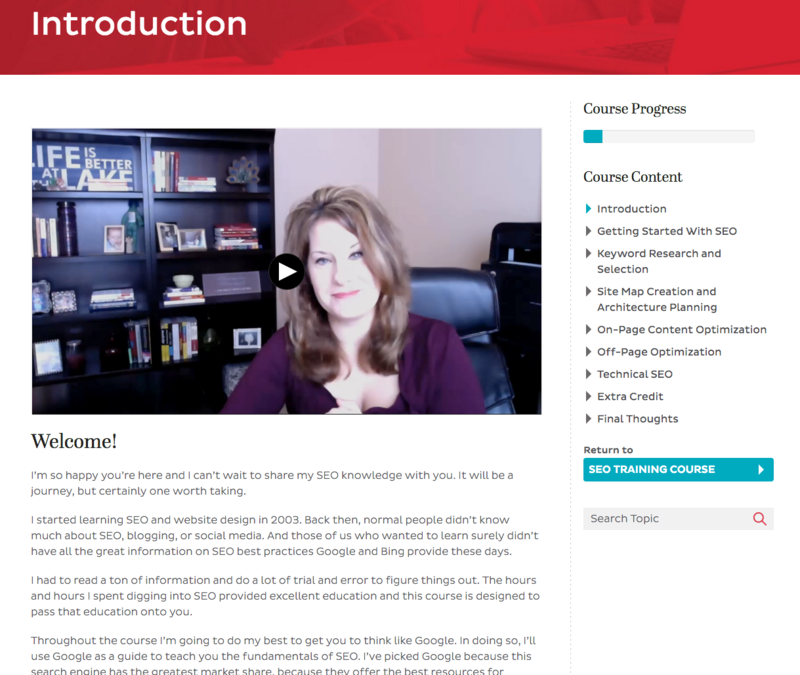 This online course is a perfect fit to help bloggers, small business owners, and marketers. 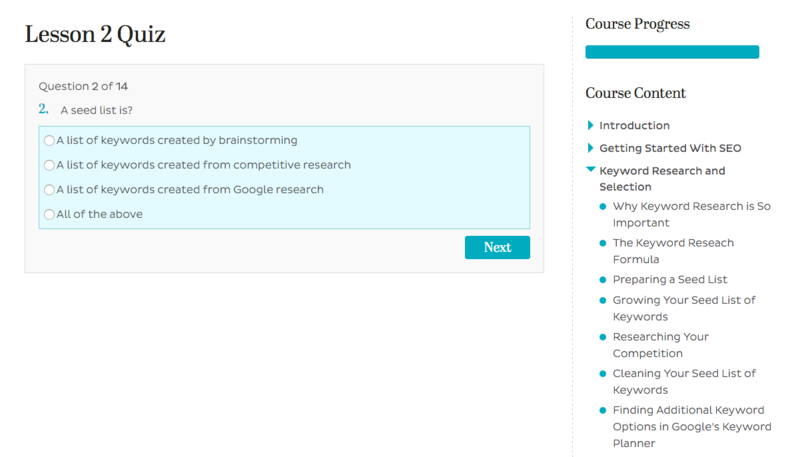 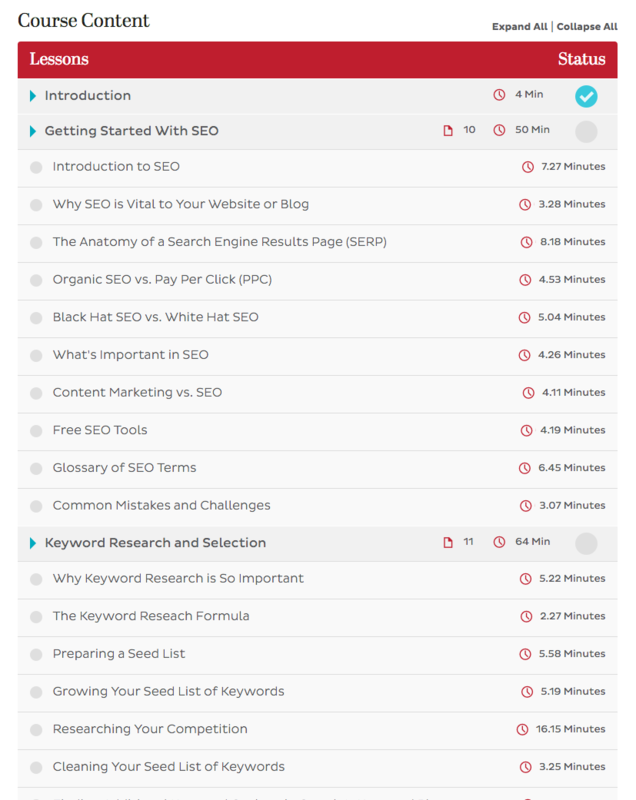 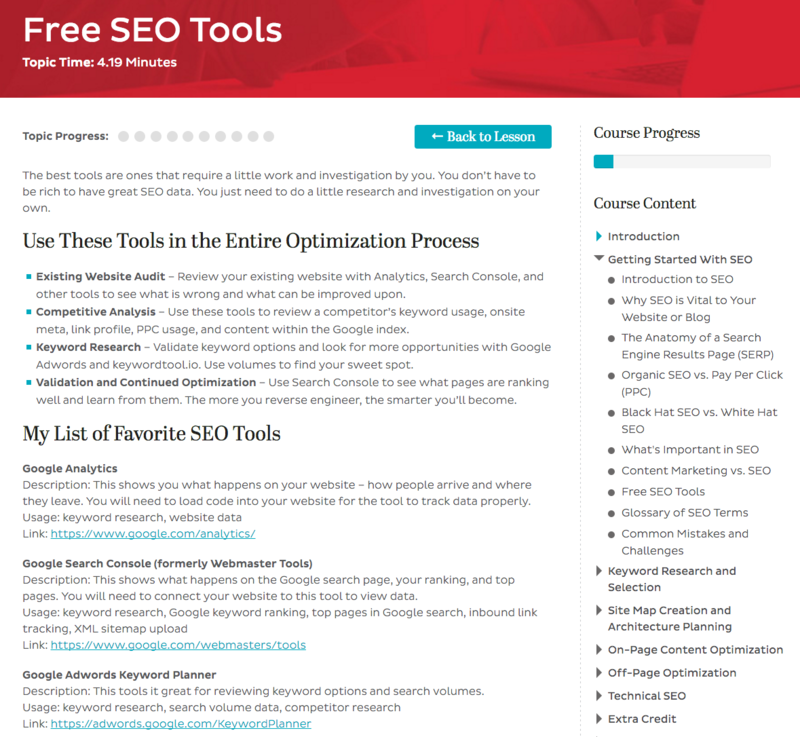 Whether you’re just starting out or you’ve been working with marketing for years, you’ll find this course is the perfect tool to learn SEO online and at your own pace. 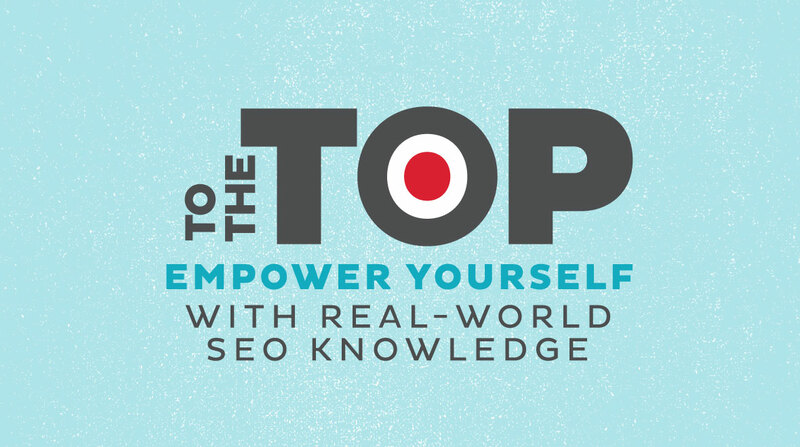 You’ll learn what SEO is and how you can create an actionable plan for search engine optimization. 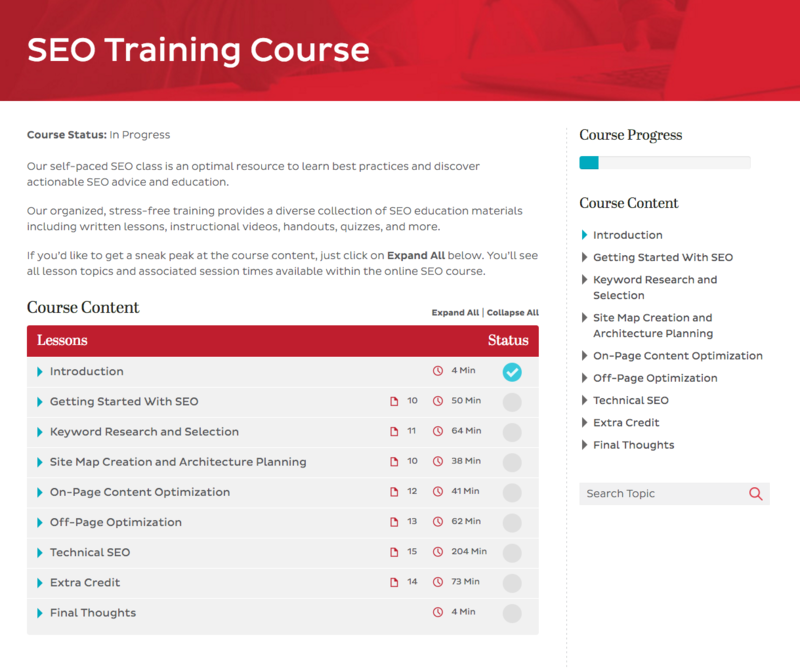 The course will help you build a solid SEO foundation for your website or blog, then follow this up with a well structured on-going SEO tasks like link building and social media sharing.